As you walk down into Cala Fonts you are immediately struck by its charm and friendliness. Cala Fonts, situated in Es Castell just a short distance from Mahon, is a lovely small harbour, full of restaurants, fishing boats and boutique shops. In the evening it is particularly popular as people congregate to enjoy the many restaurants on offer which offer some fabulous fresh fish, just off the boat! One of the most popular restaurants in the harbour and a personal favourite is Nikki’s, a well-established, family owned restaurant with simple but well-executed fare. 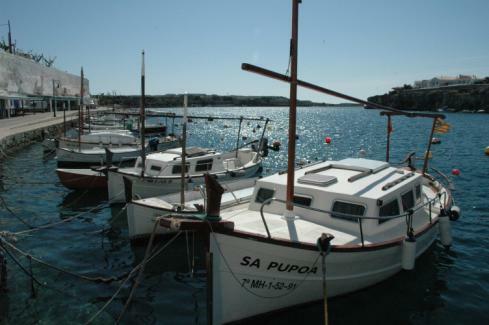 Not only do they offer a sumptuous array of the best ‘catch of the day’ – principally mussels, prawns, John Dory, hake and wonderful squid – but they also offer some of Menorca’s finest fresh meat and their steaks and chicken kebabs are particularly tasty. In addition, they have a small, but well selected wine list, the house rosé, Homenaje, is very good; and some delicious home-made puddings – such as banoffee pie and lemon cheesecake. The combination of relaxed and friendly al fresco dining at Nikki’s with the backdrop of the beautiful harbour allows for a fabulous lunch or dinner.